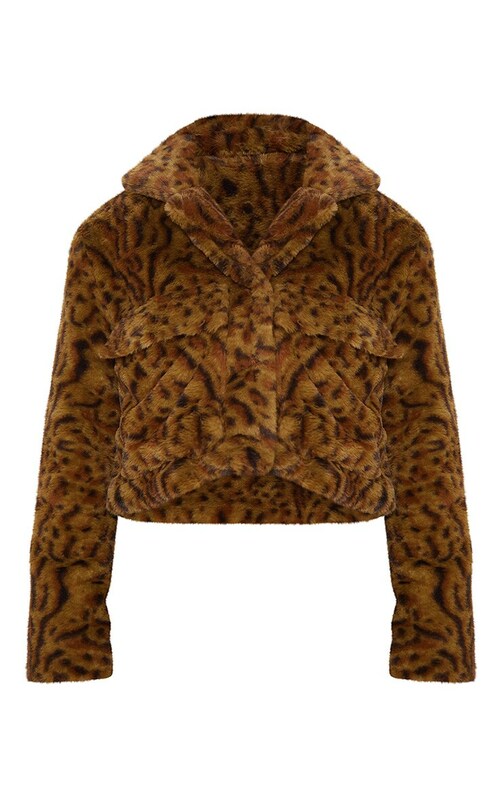 For all you leopard print lovers, get winter ready in this super cosy coat. 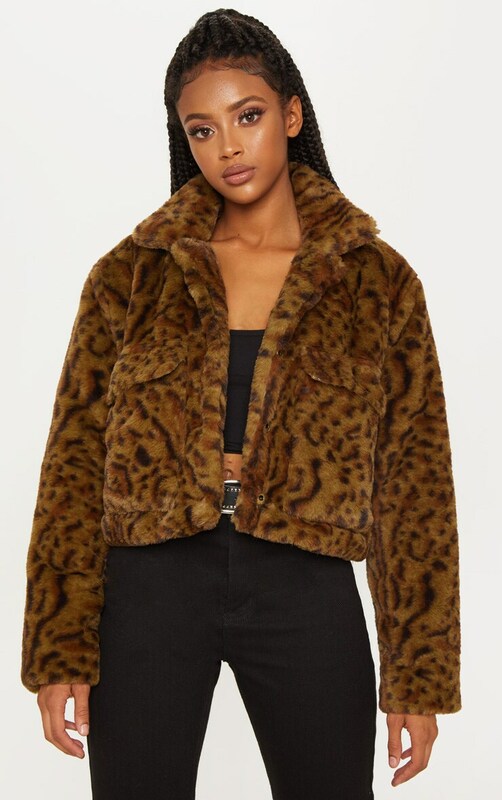 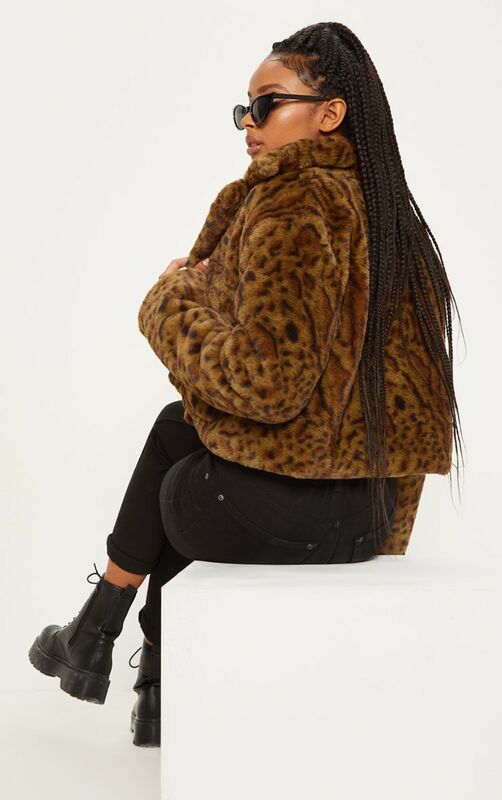 Featuring a leopard faux fur material, cropped length and pocket detail, what's not to love about this trucker? 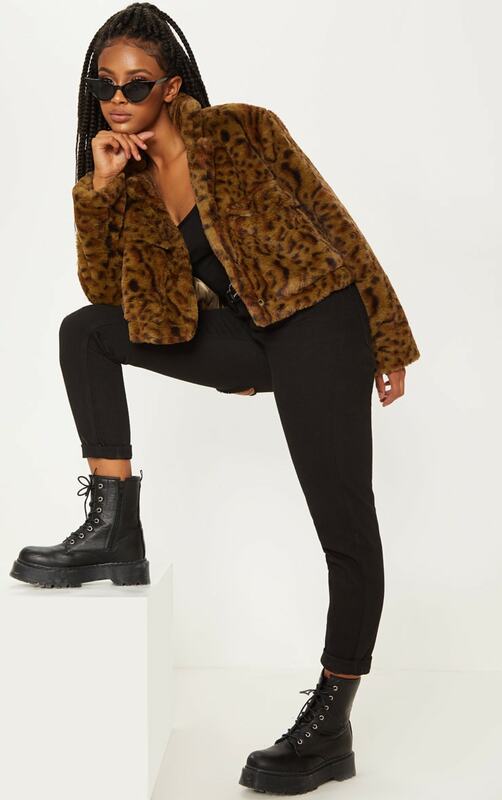 Style this over black jeans and tee and add chunky black boots to complete this A/W look.